With social media on the up-and-up and Web 2.0 giving us less reasons to head out to the shops, Christmas 2008 was tech-heavy; much like the Christmas’s we’re used to seeing nowadays. In the absence of action figures and cuddly toys, at least the toys dominating 2008 were giving kids – and adults – plenty of exercise. As I mentioned in last year’s list, the Nintendo Wii reigned supreme over several Christmas’s in a row; becoming the top gift worldwide for years. However, in 2008 there was a game that was keeping the Nintendo Wii at the top of wish-lists – mostly among adults. 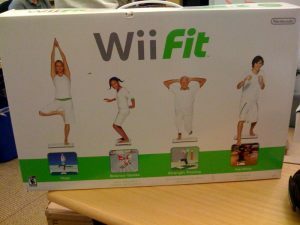 Wii Fit was Nintendo’s attempt to appeal to those who were drawn to the Wii’s ability to get people on their feet exercising. The bundle came with a balance board which could weigh you and provided lots of balance-oriented mini-games designed to give the player some light exercise. One of the most popular of these was the yoga, which gave you several different poses to try. Wii Fit demanded a certain level of commitment, just like any other diet or exercise regime. The game tracked your progress; helping you to meet your weight loss goal. Although very fun and beneficial for meeting those personal goals, it also made Wii Fit a very risky gift for a spouse. 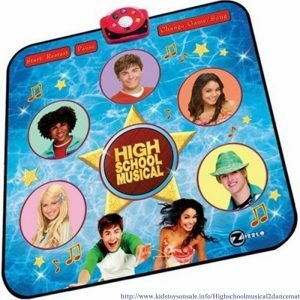 Keeping with the style of going crazy in front of the TV, one of the bigger crazes of the 2000s was the High School Musical, and with came a hot new toy. The dance mat is nothing new – they were getting kids to stomp their feet in their first-floor bedroom as far back as the late-nineties. This one had children dance along to the soundtrack of the HSM movies, with pressure-sensitive circles decorated with the faces of the cast. Although stomping on their faces seems like an odd way to express your love of the cast, these mats were selling fast while the movies were at the peak of their popularity. 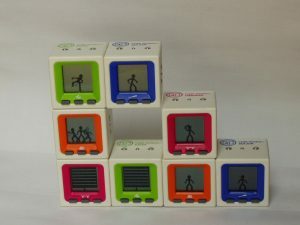 They may look similar to Tamagotchi’s, but with Cube World you weren’t feeding your pet and interacting with them; you just watched them dance and mingle with other stick people. These stick figures would dance about and perform lots of fun animations on their own, but their appeal grew when you brought more than one together. When you start stacking these cubes together the stick people will move from cube to cube and interact with each other. This means that more animations and dances are unlocked the more cubes you have. You could have a whole community of stick people have a party with each other if you gathered enough cubes together. The temptation to collect them and create the biggest gathering of stick people you can was what drove the high sales of these toys. We’re you swaying and flailing about in front of the TV Christmas morning 2008? Tell us about your 2008 Christmas in the comments below!